Chic Dambach’s wide-ranging career includes President of the Alliance for Peacebuilding, President of the National Peace Corps Association, and Chief of Staff for Congressman John Garamendi. Together with the activist icon Peter Yarrow, he led the Operation Respect program to transform schools, camps, and other youth organizations into safer, more respectful, and bully-free environments. He has also been an “expert” adviser to the Director of the Peace Corps. 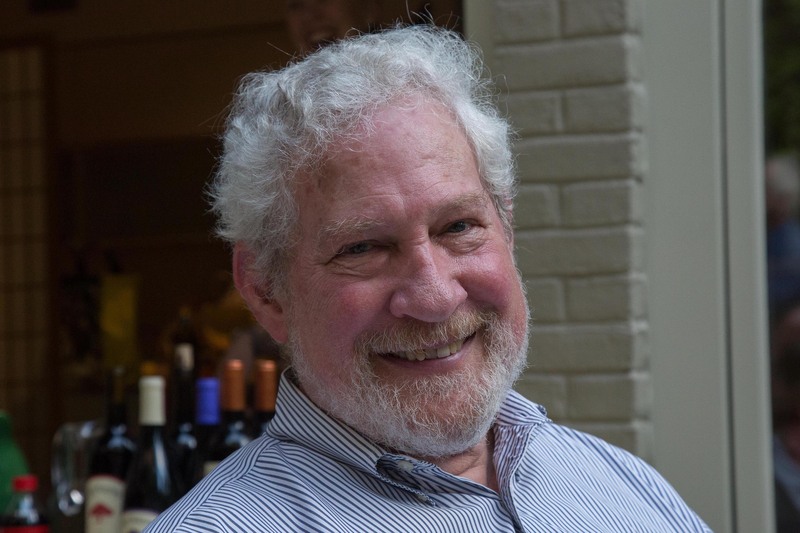 Although he is retired, he is an adjunct faculty member at Johns Hopkins University and American University, and he is a Woodrow Wilson Visiting Fellow. Dambach lectures frequently on college campuses, at conferences, and at civic organizations worldwide. His TEDx Talk, “Why not Peace?”, at Johns Hopkins University received rave reviews. He was a speaker at the Rotary International peace conference in Sao Paulo, and he was featured at the Future of Peace Summit in Washington, DC as well as the War Victims conference in Kampala, Uganda. He is chairman of the Mali Affinity Group, and he serves on the governing board of the Institute for Economics and Peace. He has served on the boards of the International Peace and Security Institute (Treasurer), Alliance for Peacebuilding, Middle East Peace Working Group (Chair), Coalition for American Leadership Abroad (Chair), Peace X Peace, Future Symphony, and the CityLit Project (Founding Chair). His career began as a Peace Corps Volunteer in Colombia, and his memoir, Exhaust the Limits, the Life and Times of a Global Peacebuilder, features a lifetime of service and successful initiatives for peace His story has been featured in the National Peace Corps Association’s magazine WorldView as well as the alumni magazines of Oklahoma State and Wake Forest Universities. Dambach has been nominated for the 2017 Nobel Peace Prize, and the Institute for Economics and Peace presented him the Leadership and Service for Peace Award in 2016. He was named the 2016 Peace Corps Champion for keeping the spirit of service alive. He won the Global Peace Award in 2001 from the International Platform Association. The Dambach Award for Service to the Literary Arts was created in his honor by the CityLit Project in Baltimore. The National Peace Corps Association has granted him the honorary title President Emeritus. He was a national champion kayak racer and served as Chair of the US Canoe and Kayak Team and as President of the Pan American Canoe Council, and he was on the rules committee of the International Canoe Federation. He was an official for canoe and kayak competition in the 1988, 1992 and 1996 Olympic Games. He has a BA degree from Oklahoma State University (which he attended on an athletic scholarship), as well as an MBA degree from Wake Forest University. Oklahoma State recognized him in its Arts and Sciences Hall of Fame, and he is in the Hall of Fame in his home town of Worthington, Ohio.